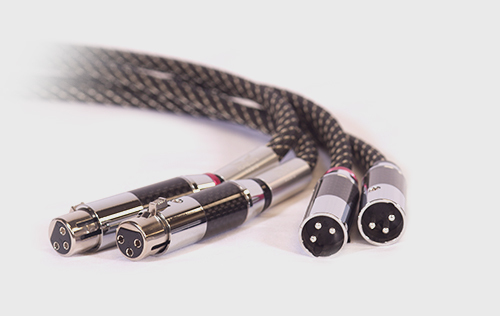 Premium XLR interconnect cables for audio components that allow your system to reach its full performance capacity with zero compromises. Soniquil XLR interconnects deliver pristine signal purity. The rejection of interference is ensured through extremely high build quality and design. Soniquil users report experiencing a deeper sound stage and greater musical definition. This cable provides a worthy upgrade to even the most discerning systems. Are you on the fence about whether or not a Raven Audio cable can truly make a difference in your sound? We understand your concern. The best way to know is to try our cables in your system and hear for yourself. We're so confident that you'll love the sound, we'll give you 45 days to use the cables. If you decide you're not in love, just send them back for a full refund, minus shipping. Click here for details. As the Audiophile market has grown, cable manufacturers have introduced high-quality cabling designed to elevate the listening experience. Cable manufacturers, like any business looking to grow, have searched for ways to differentiate their products and develop deeper revenue streams. This has caused some companies to make unbelievable promises of electronic audio miracles sprinkled with fairy dust (and charge $$$$). We’re sure you’ve seen cables that fit this description. Furthermore, many of these products are designed to change the sound by engineering anomalies to increase bass for “more thump” or supposedly reduce mid-bass for “more clarity”. This is simply, audio foolery at best. We believe that no one should have cables that shape their sound.